... within the hospitality industry. Good communication skills. Ability to create & maintain systems. Target driven. Availability to work weekends. Own transport. True for the industry.BASIC SALARY AND INCENTIVE OPPORTUNITIES. 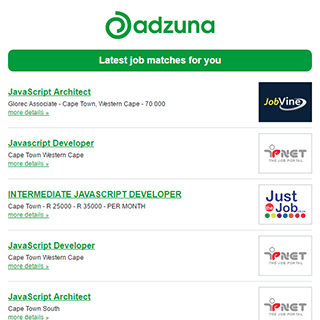 The Adzuna recency index score for this search is 0.56, suggesting that demand for Weekend job vacancies in Western Cape is decreasing. Companies presently offering Weekend job vacancies in Western Cape include Private Property, AMPATH, Grindrod..
11 new job listings for this search have been found in the last calendar day, compared with 20 in the last 72 hours and 84 in the last week. Get the latest Weekend Jobs in Western Cape delivered straight to your inbox!